Happy Monday! 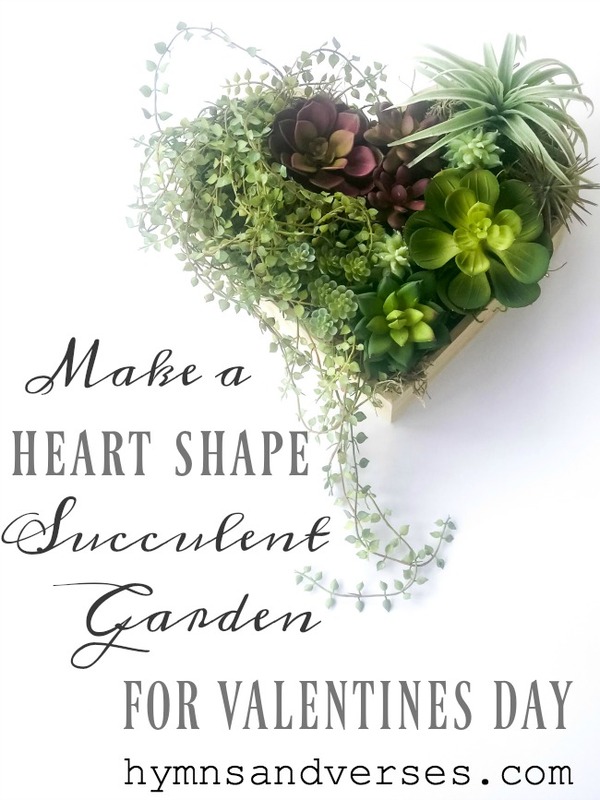 I’m here today to share a last-minute DIY project for Valentine’s Day – a Heart Shape Succulent Garden! I used faux succulents because they are more affordable and I can’t kill a fake plant!!! But, you could make a real succulent planter in a heart shape as well! For a container, I used a wooden heart shape tray that I picked up at the Target Dollar Spot – for $5! I added some floral foam cut to size and covered the foam with a combination of sheet moss and Spanish moss. Then I started arranging the faux succulents. I had to cut some of the succulent stems because they were too long for the depth of the wooden heart tray. I found some realistic succulents at Michael’s craft store and some at one of my favorite local shops. They were under $5 each. When you pick out the succulents you want to use, try to choose different varieties and colors to add interest to the garden. Even if you use all green colored succulents, make sure you vary the shades of green. 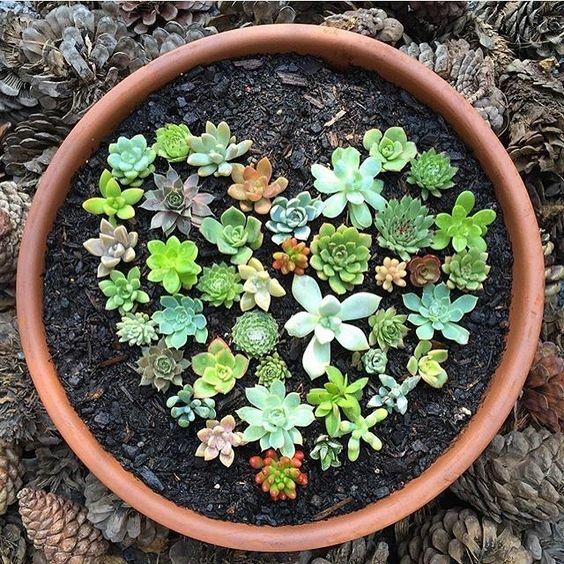 Here are some more heart shape succulent garden ideas that I found online and links to each one! 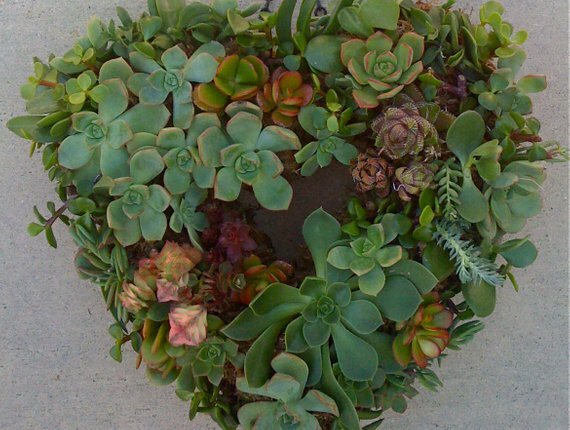 First are these real succulent hearts that are made by the gardeners at Terrain! You can order them HERE. 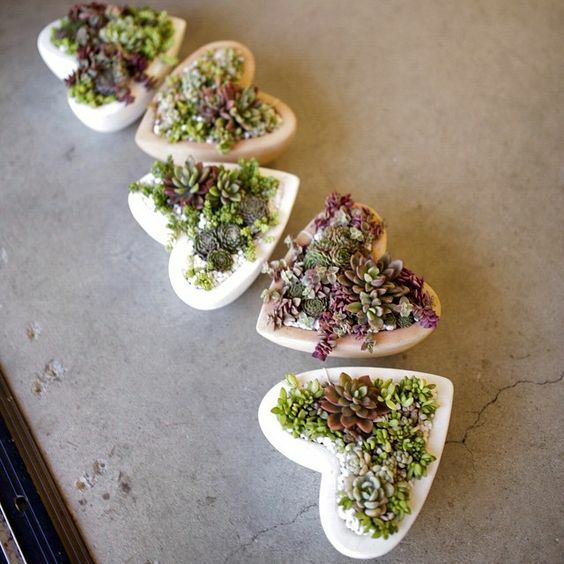 Here are some adorable small heart shape succulent gardens by Daila Vita on Instagram. And, here’s a DIY succulent wreath kit in a heart shape! This kit is available to purchase at Succulents Plus Shop on Etsy. 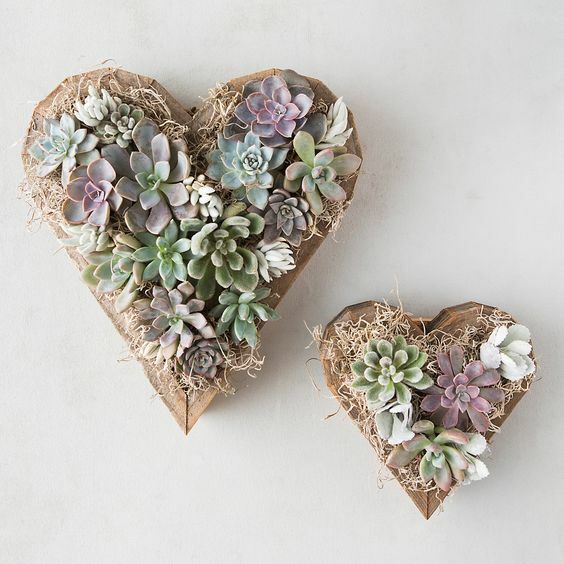 And, you don’t even need a heart shape container for this succulent garden planter by The Little Plant Shop on Instagram. There is soooooo much great succulent design inspiration at The Little Plant Shop! You need to check it out and give them a follow! 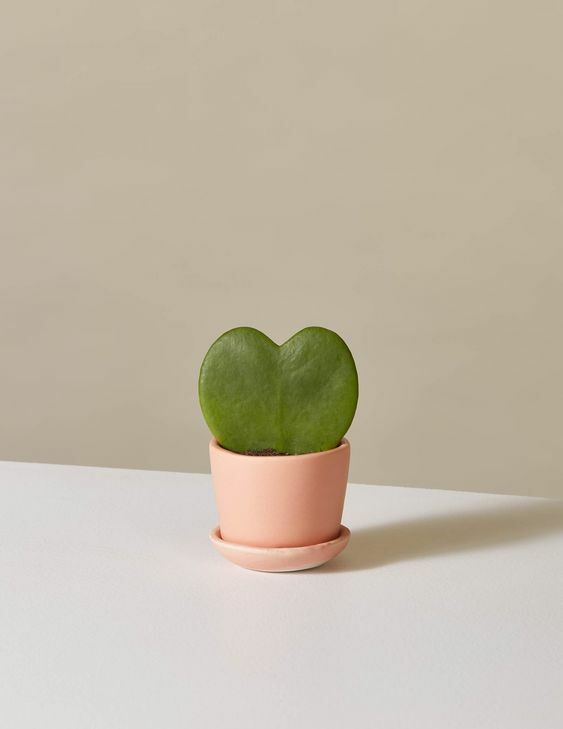 Finally, the tiniest and most adorable heart shape succulent ever is available to purchase at The Sill. This little guy is called a Hoya Heart and isn’t it just adorable! And, you can choose the color of the tiny pot – they have red, black, cream, and this peachy pink shade! They would make great little gifts! So cute love them all. You did a wonderful job with this heart-shape succulent Valentine!!!! I love how you varied the coloring and shapes. I just found your blog site the other week and have enjoyed you so much. I can’t wait to see what you have to bring to us for the summer. Happy Valentines Day 3 days early!!! Adorable ideas! Now to find a heart shaped container! When I first glanced I had no idea this was going to be so user friendly!! I get so enthused about succulents but they don’t always survive. I think this idea would work well for my indoor displays! !